My favorite source for professional photography equipment and gear, B&H Photo, is having some great sales and rebates on some of the best cameras and photography equipment. Below you will find a hand-selected list of deals on lenses, printers, compact cameras, flashes, tripods digital SLR’s and more. Please keep in mind that most of these end within the next 12 hours, so if you see something you’ve always wanted to have in your camera bag, or if there’s a lens you’ve always needed to fill the gap in your line-up, you may want to take advantage of these deals now. The Canon 7D has an impressive feature set including a magnesium alloy body, environmental sealing, a sweet 18MP CMOS censor capable of shooting at 8FPS along with 1080P HD video at variable frame-rates, one of the best autofocus systems in a APS-C camera to-date and comfortable ergonomics. Can you say “Awesome”? 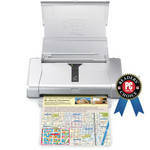 $400 Conditional Mail-in-Rebate when purchased together with Canon PIXMA Pro9000 Mk II printer. That’s like getting the printer for free! 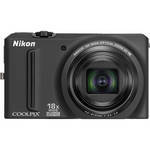 Offer ends MAR 31 ’12.Plus you get $100 instant savings on the camera, which expires in 24 hours. This little guy has tons of amazing features that make the camera an even better steal for it’s price. It can shoot gorgeous, full 1080P video with stereo sound, has an amazing 18x zoom for it’s size, AND, shoot at 9.5fps at 12.1 megapixels! WOW! 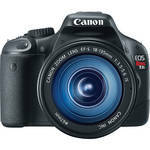 The Canon Powershot 300 packs features galore into its slender (3.63 x 2.20 x 0.77″/9.2 x 5.6 x 1.9 cm) and lightweight (4.30 oz/122 g) body–a 12.1MP CMOS high resolution sensor, 5x wide-angle 24-120mm lens (equivalent in 35mm format), and full 1920 x 1080 HD video with stereo sound, for starters. This lens features Canon’s latest optical Image Stabilizer technology, providing up to 3-stop compensation for image blur caused by camera shake and slow shutter speeds. 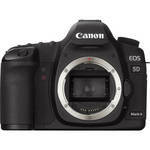 This ensures clear, crisp images, even in dim light. This lens boasts high resolving power and sharp image depiction with ideal background blur, making it the ideal lens for close-up and portrait photography. With emphasis on portability, this macro lens is compact and lightweight. This is my all-time favorite lens. I have made wonderful images with it. It’s tough, fast and mean. Check out my full review on it here for a more in depth look and also for some sample shots. 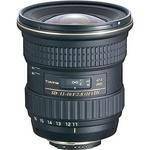 This is the best price I have seen the Tokina 11-16mm! It’s a steal! 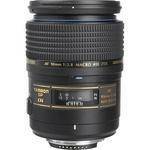 Tamron Lens Rebates – Expires 4/30/2012 – Included is the awesome Tamron 18-270mm! 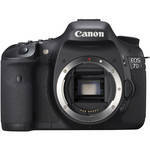 Canon Lens and Speedlight Rebates – Expires 01/7/2012 – Check out the deals on Canon’s best speedlights, the 430EX II and 580EX II. 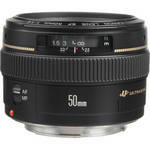 Up to $500.00 savings on Sony Alpha Lenses – Expires Jan 7/2012 – $500!! I don’t know anything about Sony lenses, but $500 off is a lot for ANY lens. 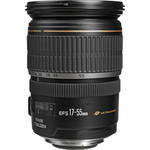 Great Saving and Free shipping on over 42 Telephoto Lenses – Expires 01/07/2012 – Some more great deals to take advantage of before they expire. The world’s best portable photo printer that can print 8×10′s in just over a minute. I had to use this guy for an on-location photo shoot and it did not let me dowm.Perfect for tight spaces and on-the-go shooting. 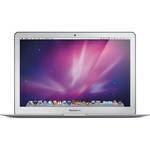 This MacBook Air boasts plenty of power to edit your photos from anywhere. With a beautiful 13.3″ display, photos look stunning. This model in equipped with 128GB of lightning fast flash storage.